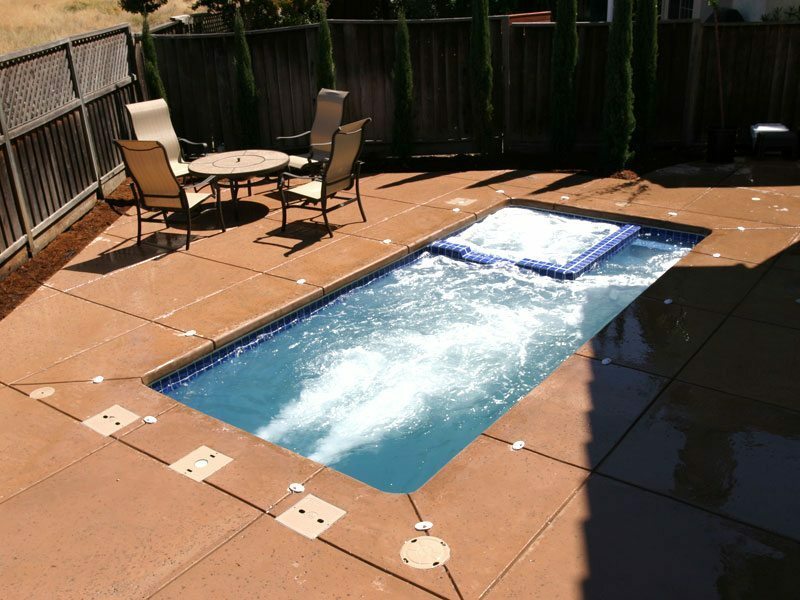 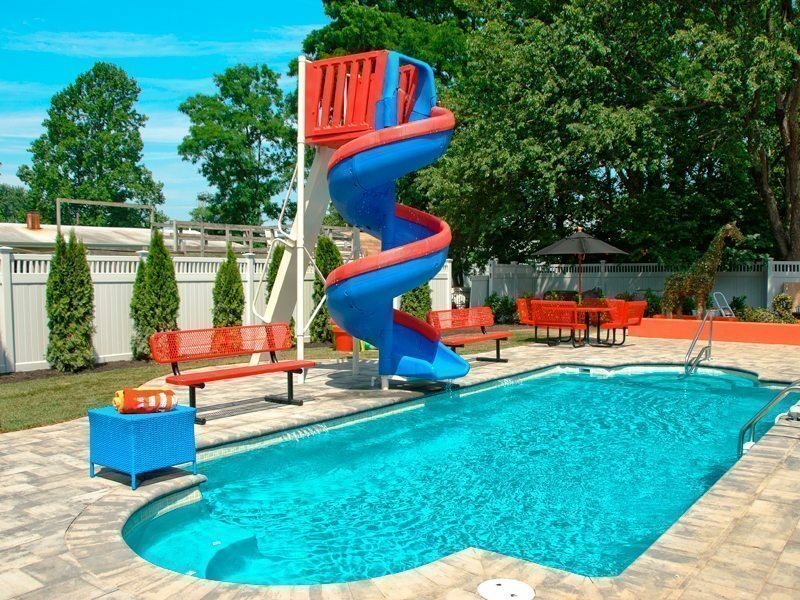 Take the plunge – add a custom built inground pool to your home and let the fun begin! 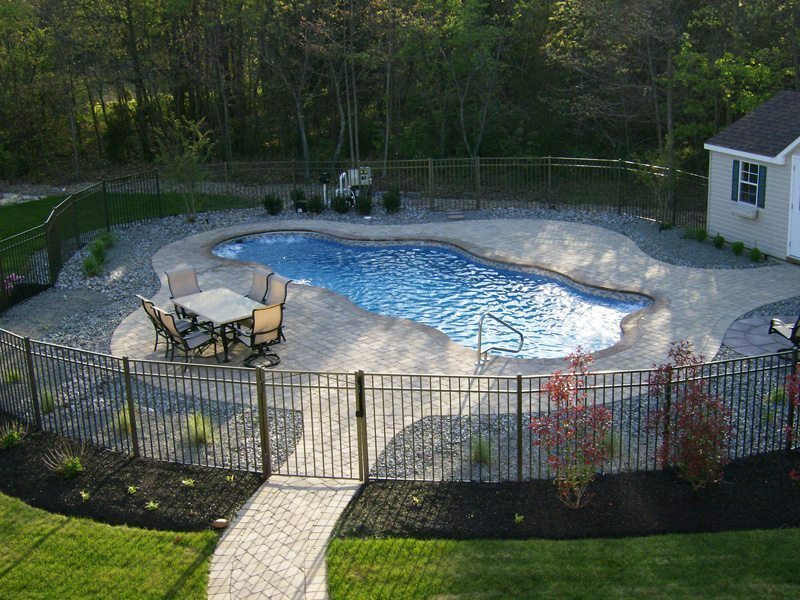 Hardscape, Landscape, Fencing, lighting, or anything you might do, all flow together now and down the road. 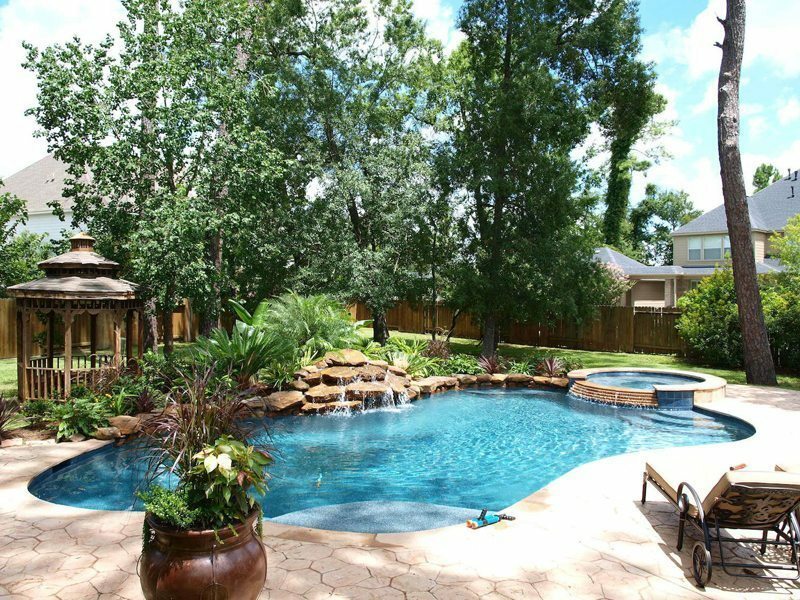 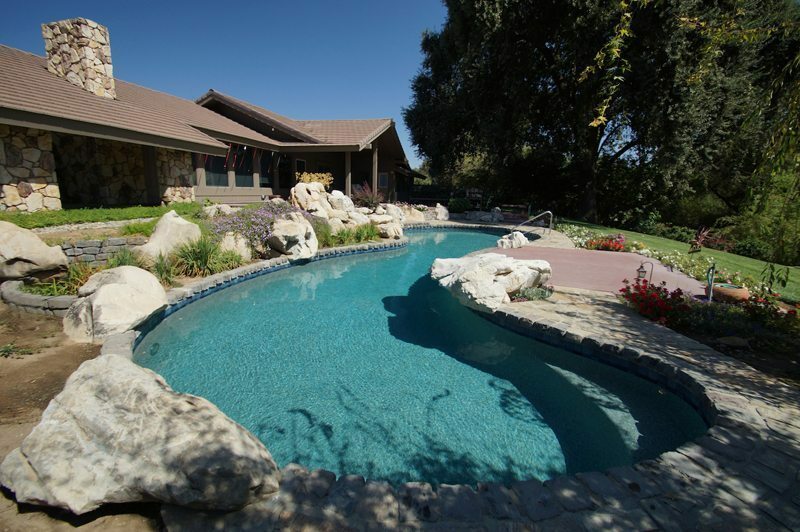 You’ll be the envy of every neighbor and relative when you invite everyone over to take a dip in your incredible, custom-designed pool and backyard. 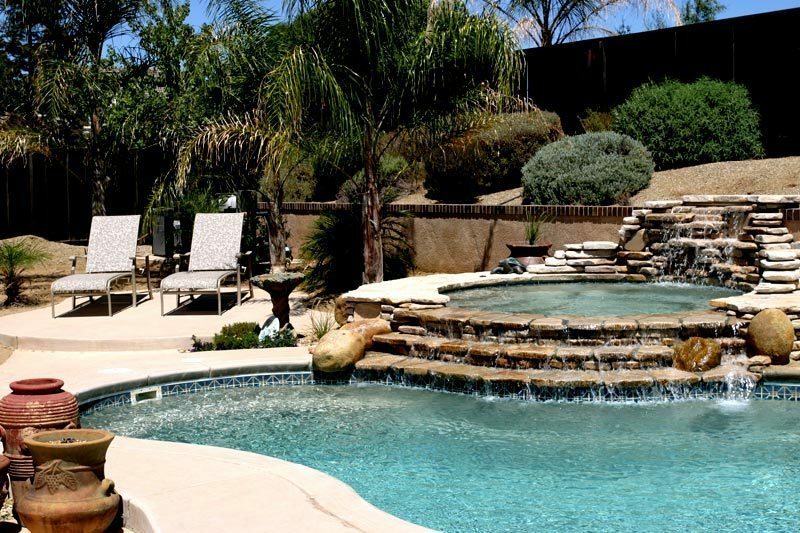 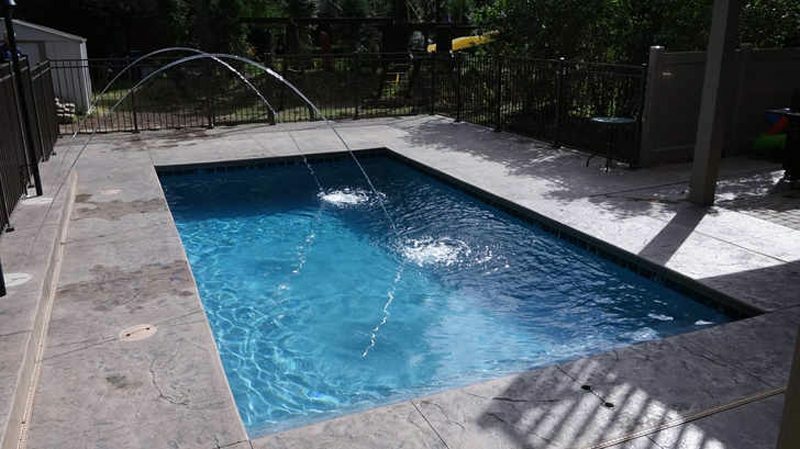 With so many features, styles, and shapes, we guarantee you that your inground pool will exceed not only your own expectations – but of what a pool can be. 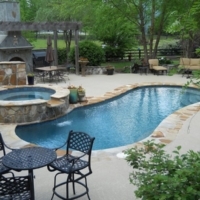 Gunite pools allow our designer to take the entire pool experience to a whole new level. 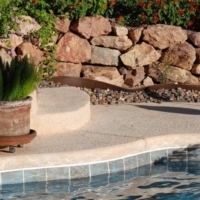 Shapes and intricate designs are possible for any size and application. 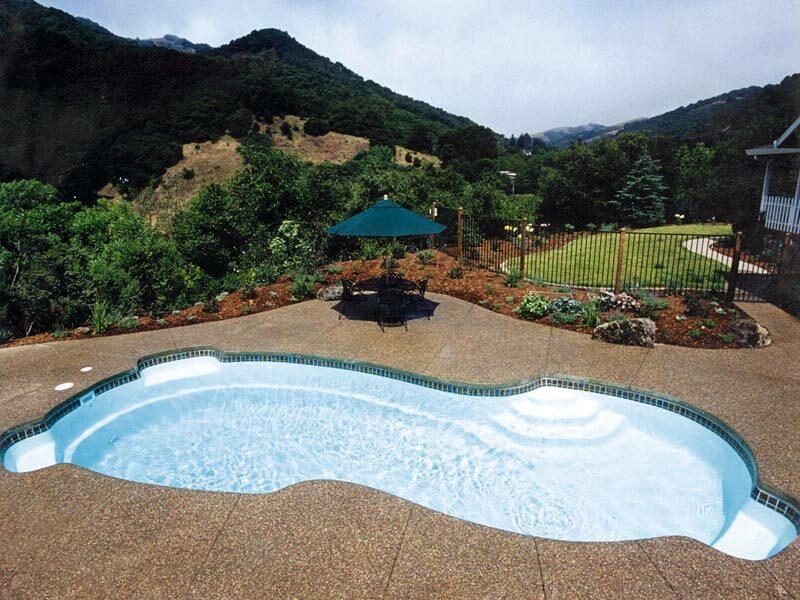 Customization’s you won’t find anywhere else like infinity pools and beaches are easily crafted from Gunite. 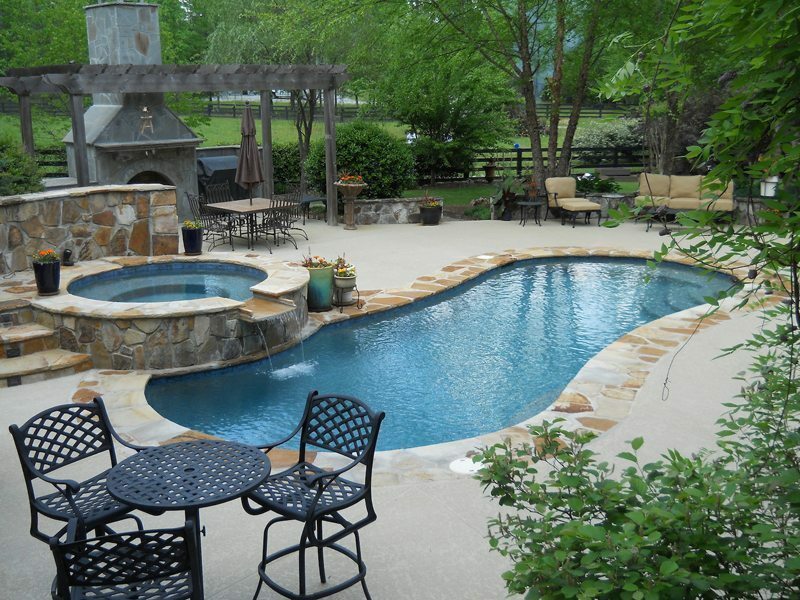 Take imagination to the limit – ask us what we can build out of Gunite for you! 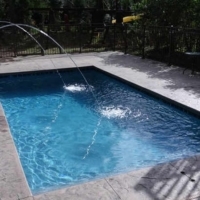 Easy to install and even easier to maintain, fiberglass pools are a timeless and popular material for building the inground pool of your dreams. 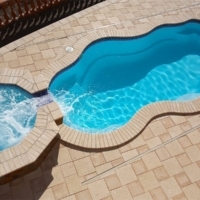 Think of your favorite pool – it is probably reinforced with fiberglass. 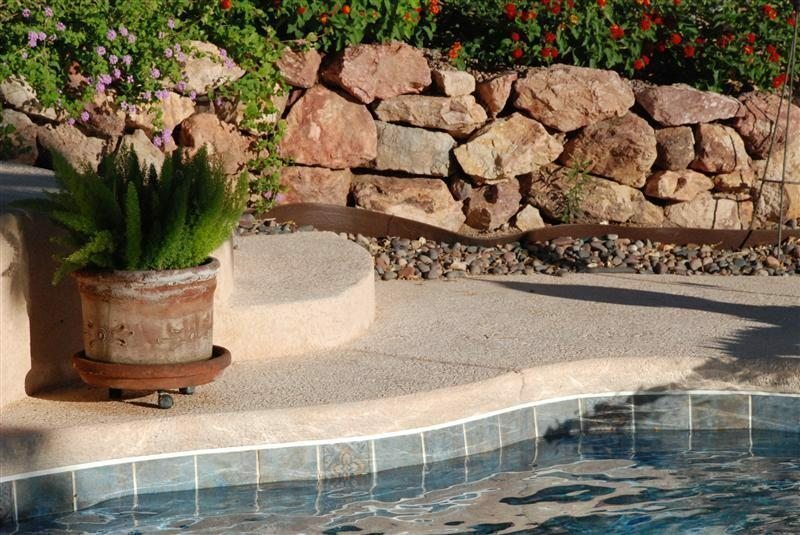 Because of its ease of installation, many shapes and design are possible no matter the landscape. 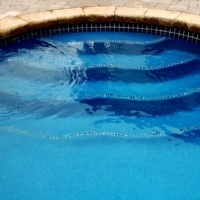 Liner pools are one of the most commonly installed. 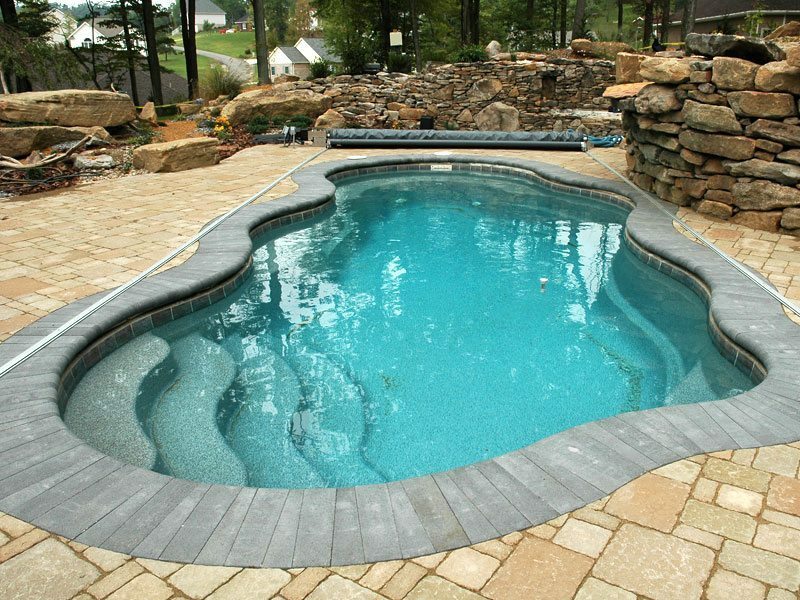 They offer tons of shape, colors, extra features, and help keep the cost down on projects. 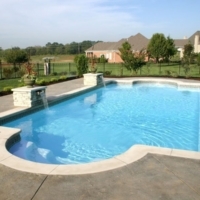 Many of the same features on Fiberglass and Gunite pools can all be added to a Liner pool if wanted. 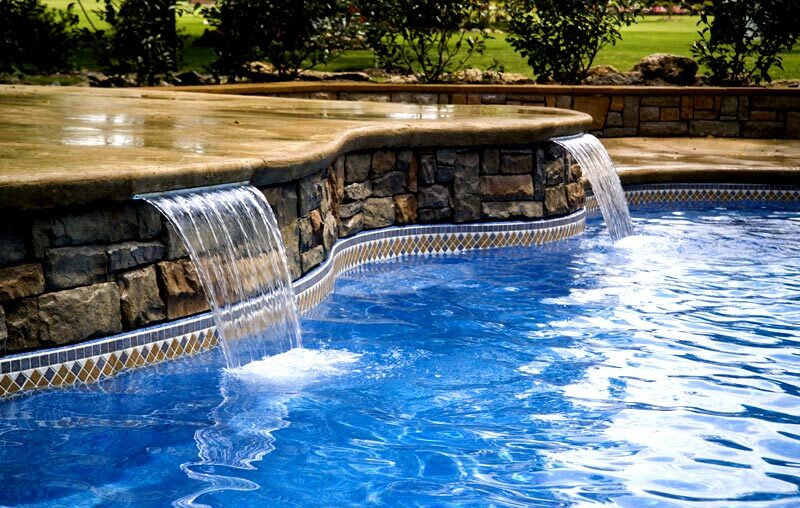 Want your pool to stand out? 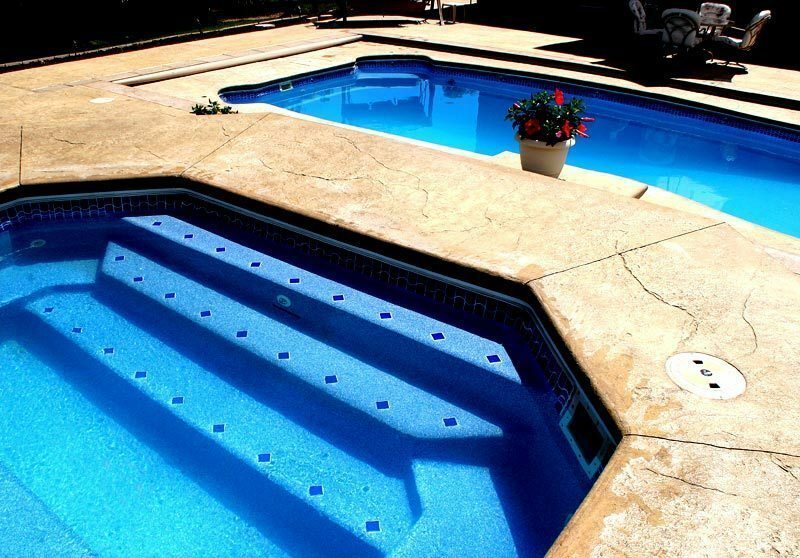 Custom tile is your answer. 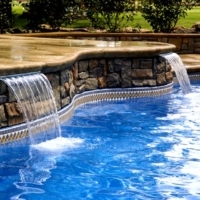 Add a touch of class to the rims of the pool or deck the whole thing out in tile. 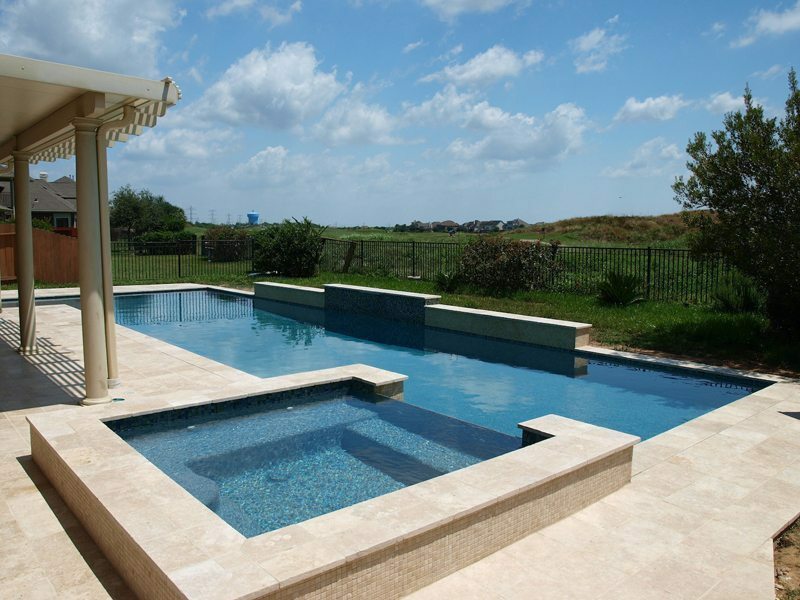 You can create patterns and beach-like atmospheres you wouldn’t believe possible for a pool. 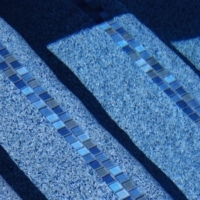 The blues getting you down? 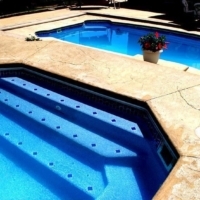 Change your pools color! 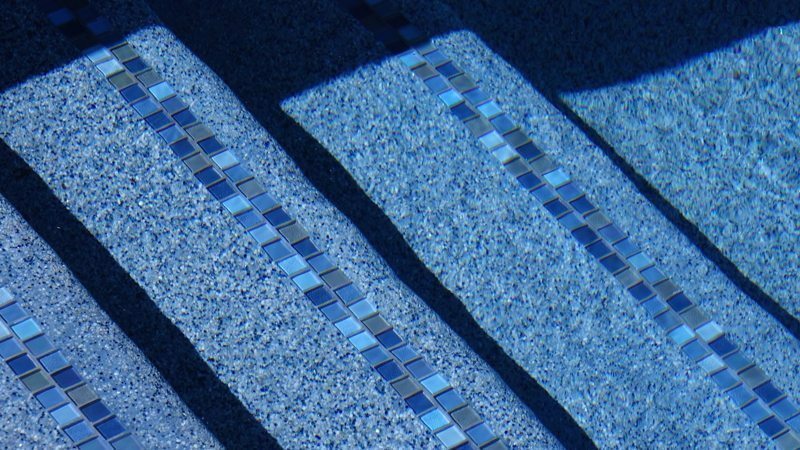 Water’s reflective properties and our expert craftsman can add any color to any pool design to reflect your favorite color. 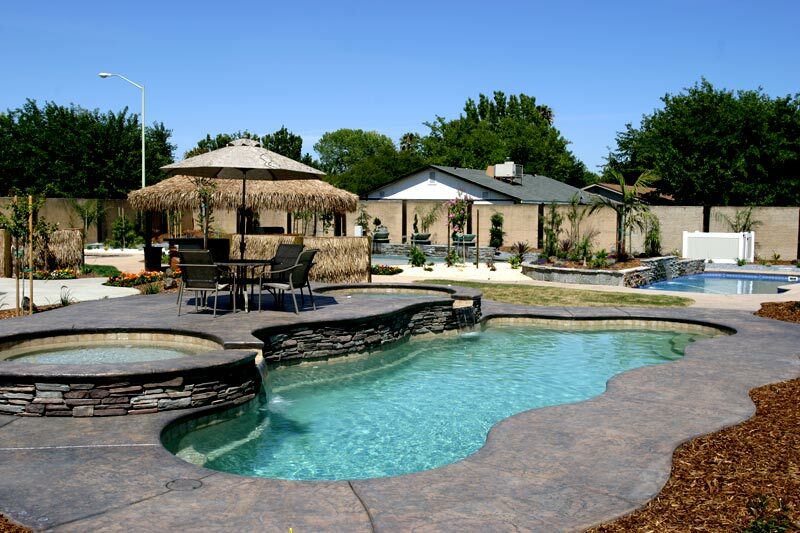 Whether its Plaster, tile, Pebble finishes – you name it. 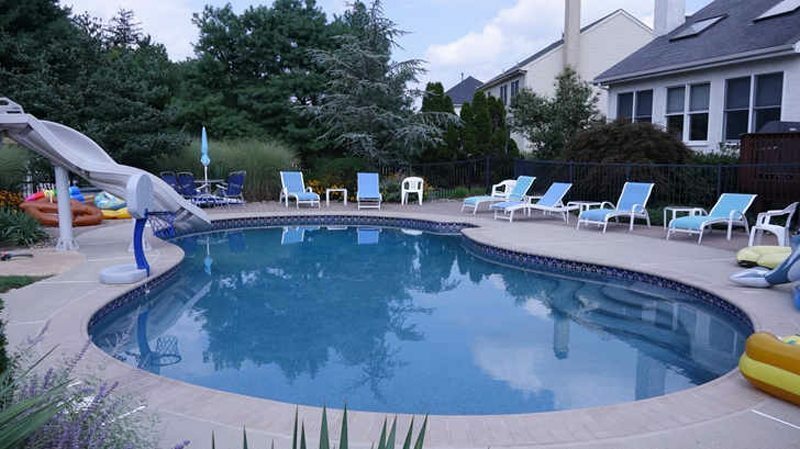 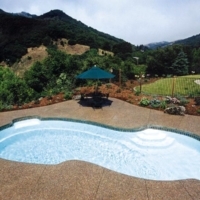 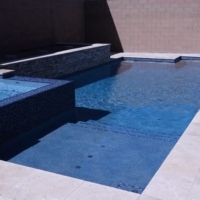 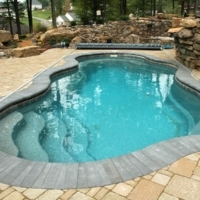 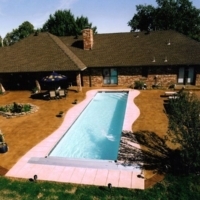 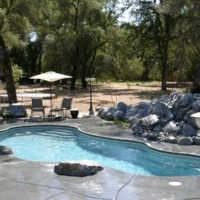 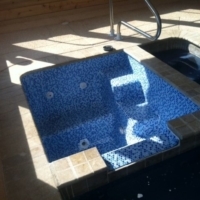 We can customize your inground pool to look and feel exactly how you want it to with the perfect finishing materials. 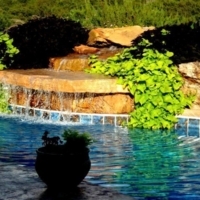 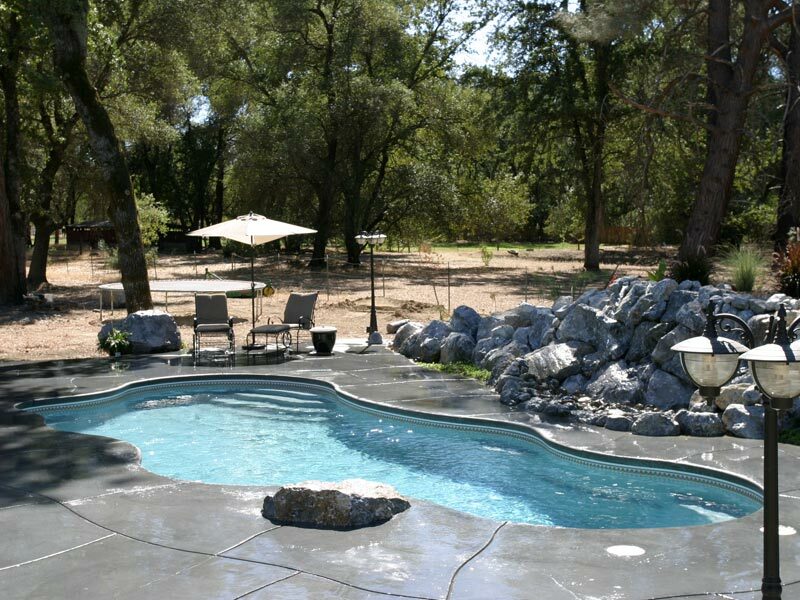 If you’re looking to make your swimming experience a little WILDER then consider adding custom water features. 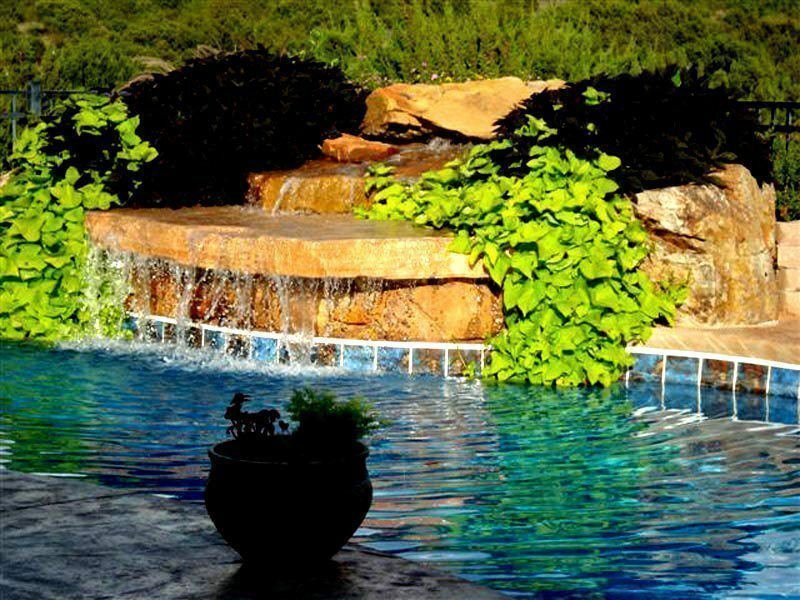 Waterfalls, ponds, even streams can make your typical pool environment come alive like it was a hidden watering hole you discovered in the woods. 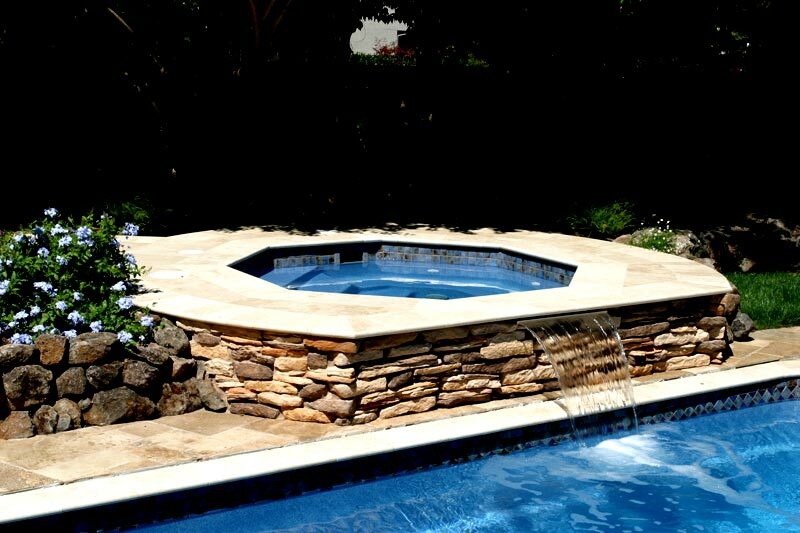 Illuminate your night time swimming experience with custom fire features we can build directly into or around your pool. 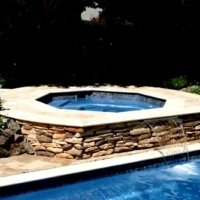 Whether its torches, fireplaces, stone fountains combined with water – our experts can build any fire features you dream of alongside your pool. 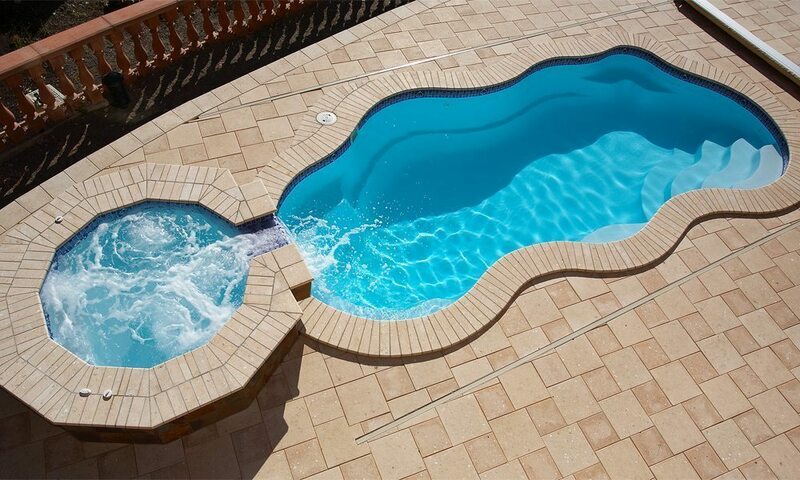 Take the plunge into forever – add an infinity edge to your pool experience. 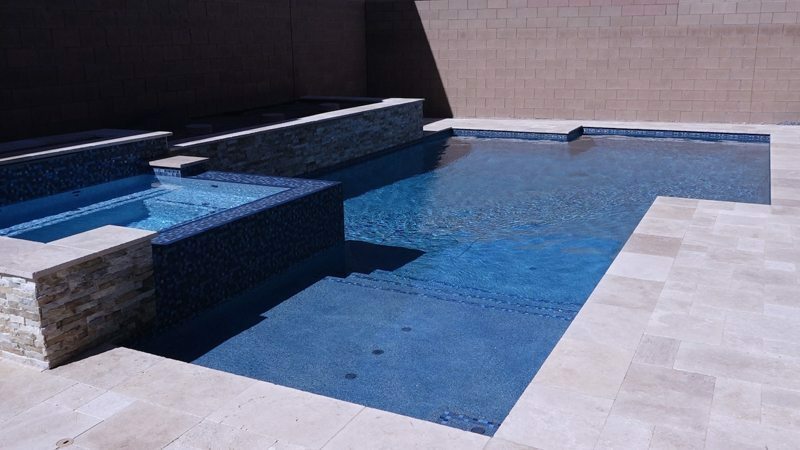 Offering a unique perspective that makes it seem like the edge of the pool spills off into nothing, Infinity edges are a classy and modern way to take your poolside experiences into the future. 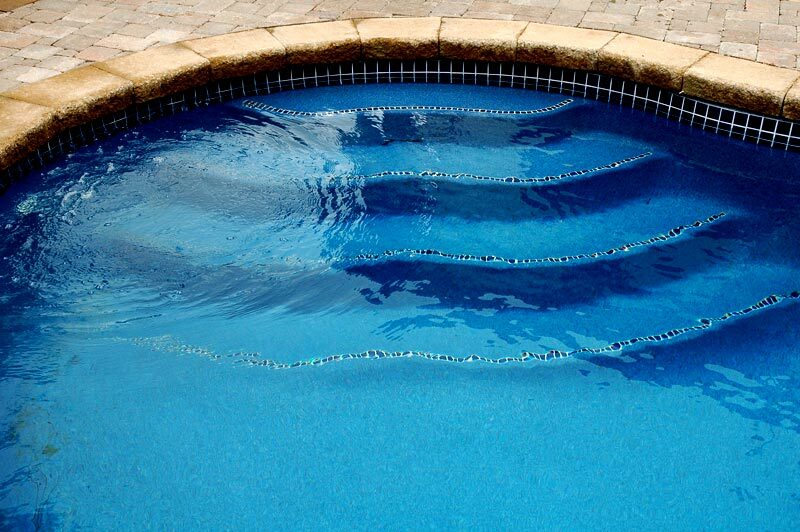 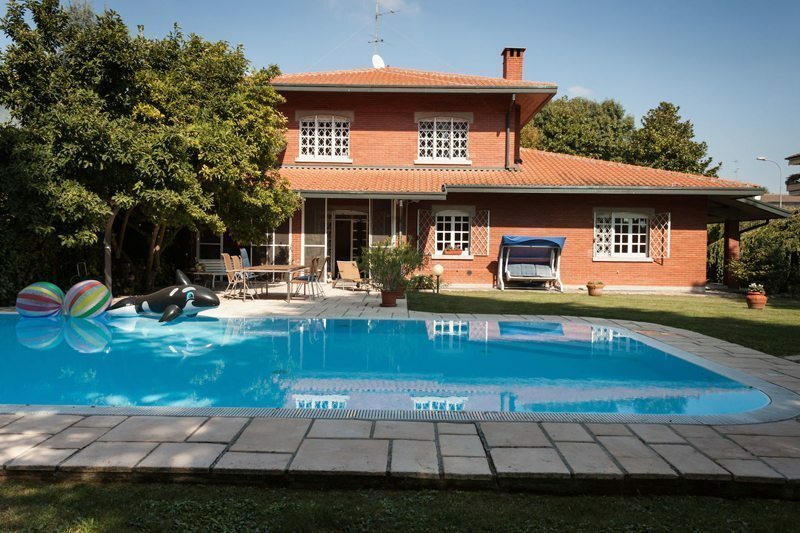 Don’t wait for the pool man to show up – let the pool clean itself! 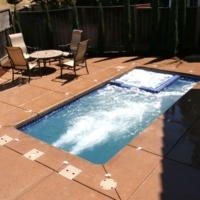 Infloor cleaning systems are the modern way to keep your pool looking and performing its best. 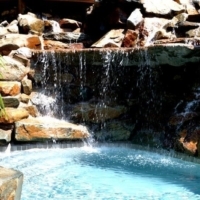 They will save you time and money in the long haul between chemicals and also save on your energy bill. 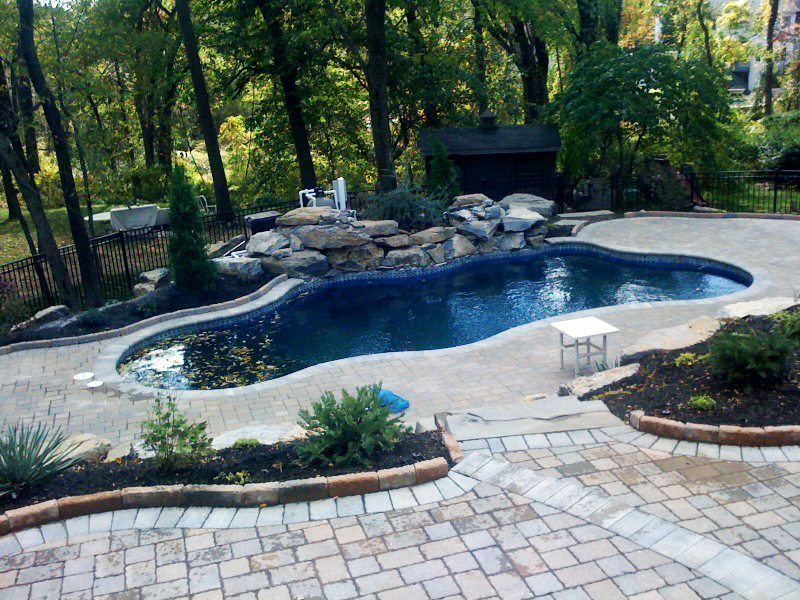 IF you ever dreamed of bringing the beach to your home or property, you’re in luck. 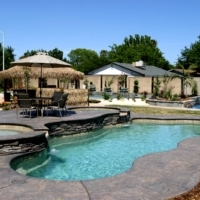 With a Gunite-built pool, you can easily add a beach entry to create the tropical feeling you’ve been looking for. 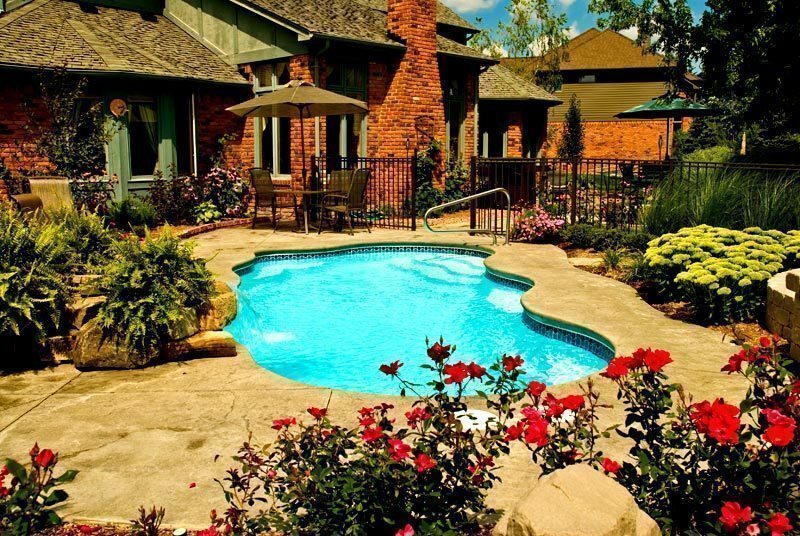 Hanging out by the pool has never felt more luxurious than when you soak up the sun on your custom sun deck. 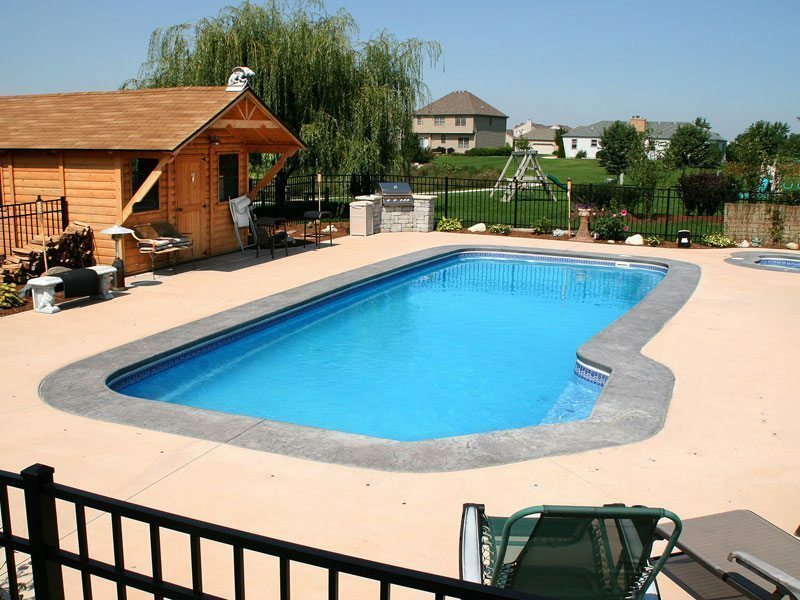 With a variety of materials to choose from, our custom built sun decks match your pool-space and bring your dreams to life. 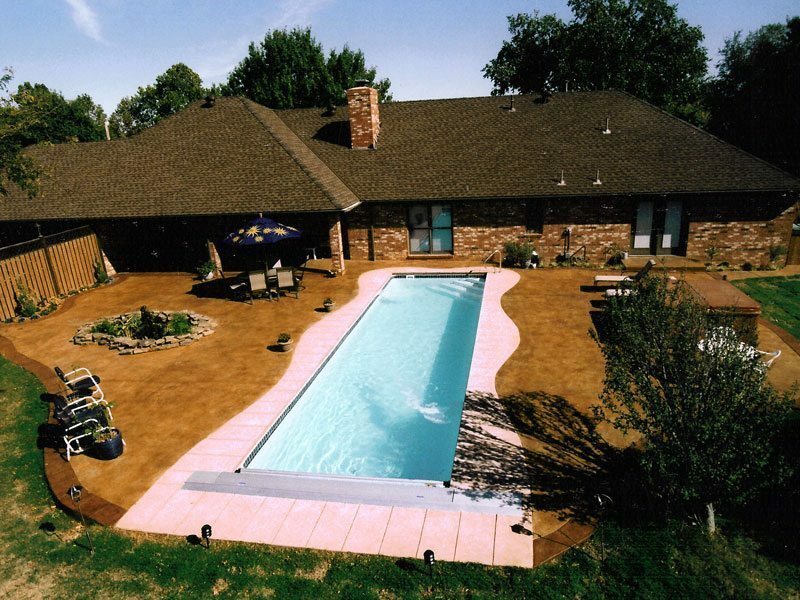 Make your lounge area pop with a custom princess deck. 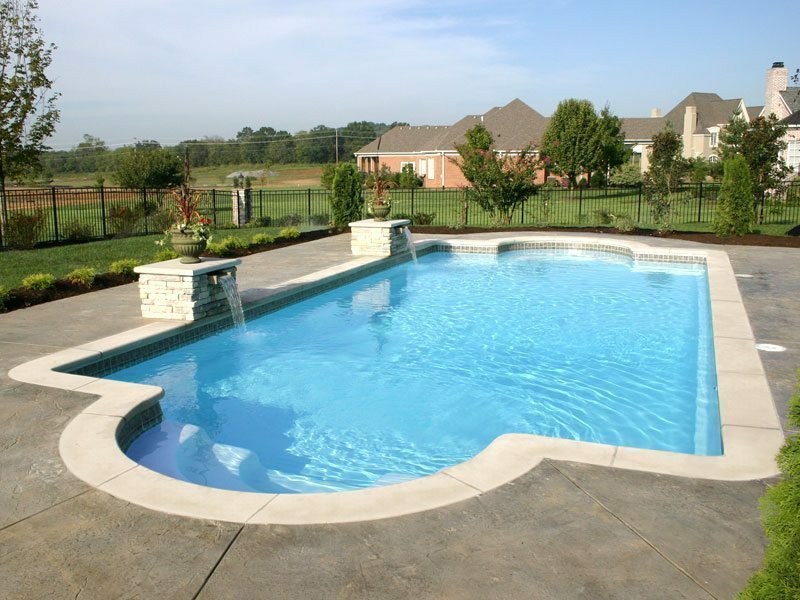 A simple raised beam and bar surrounding your pool is all it takes to add a touch of cruise-line luxury to your pool experience. 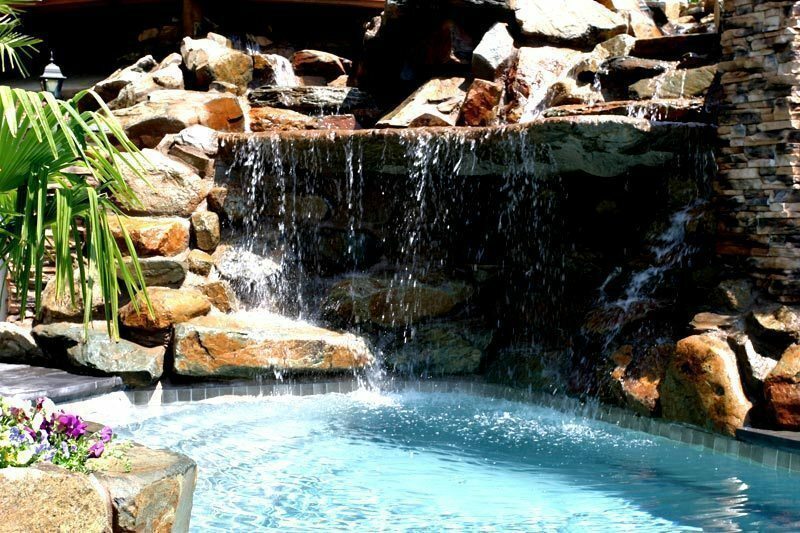 Take your relaxation to the limit with a custom-built outdoor spa. 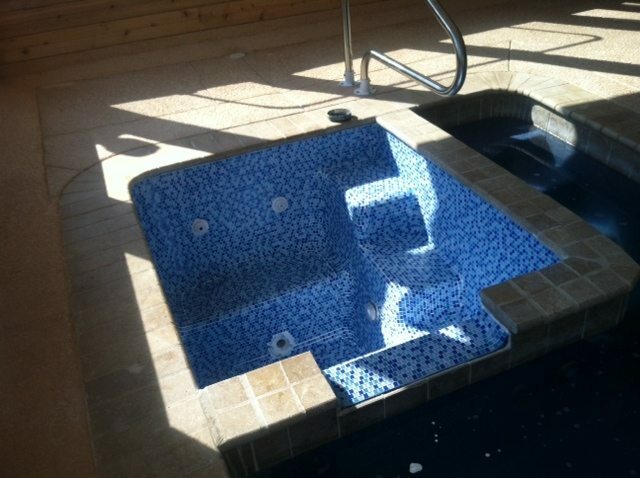 We combine hot tubs, soothing jets, and the comfort of your own backyard to deliver the ultimate in custom pool experiences.